Today is Ada Lovelace Day, a day when we celebrate women in science and mathematics fields, and congratulate them on their continued struggle against the sexist notion that women do not belong in those roles. Ada Lovelace, a Victorian-era mathematician and writer, is credited with being the first-ever computer programmer, due to her work with Charles Babbage on his Analytical Engine. Modern society being what it is, we seem to be incapable of celebrating the achievements of a woman in STEM without calling into question her character, and dismissing her on the basis of what is perceived to have been socially-unacceptable behavior. 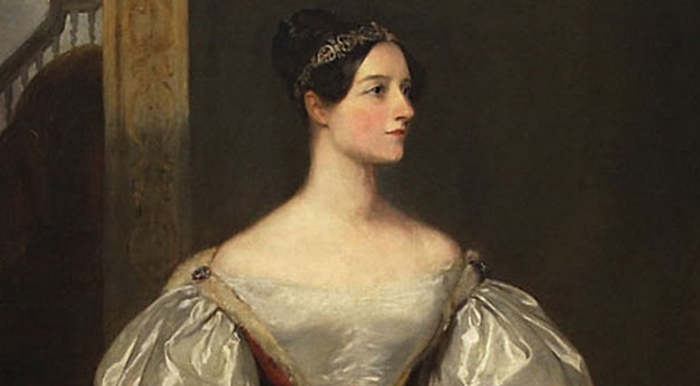 Two hundred years after her birth, we are still hung up on the fact that Ada Lovelace was… unladylike. Research into Ada’s past indicates that she drank alcohol, gambled to excess, and was addicted to drugs. In addition, she cursed profusely, and is believed to have committed adultery. These revelations call to question whether Ada Lovelace was, in fact, a role model for scientists and mathematicians everywhere. Several people have voiced the opinion that in spite of her perceived flaws, Lovelace remains a role model. I contend that Ada is a role model in part BECAUSE of her failure to conform to societal norms. Ada is a perfect example of the fact that shortcomings and a lack of respectability do not need to be barriers to achieving greatness. She is proof that people should not be dismissed on the basis of addiction, proof that there is more to life than clinging to the concept of respectability. In addition to her drinking, gambling, swearing, alleged adultery, and opium abuse, Ada Lovelace struggled with mental health issues for most of her tragically short life. In an age where we still struggle to accept neurodiversity, Lovelace also serves as a reminder of why we should not dismiss people simply because they do not think or behave the way society has mandated they should. The legacy of Ada Lovelace is a perfect example of what we stand to lose if we continue to hold role models to impossible standards of respectability, if we diminish the achievements of women based on their failure to conform to an ideal of femininity. Ada Lovelace is an excellent role model, because she reminds us not only of what we can achieve, but also of the fact that we do not need to focus our energy on striving to fit into a societal mold of perfect womanhood. It is shameful to attempt to erase her accomplishments simply because she was unladylike. Instead, she deserves to be celebrated twofold: on the basis of her achievements in the field of mathematics, as well as on her refusal to conform to a patriarchal notion of who she ought to have been, and how she ought to behave.